No, I've got a 5"magnifier lamp with a shedload of LED's round the edge. It makes a hell of a difference, those 0805's looked like house bricks. I think if I ever had to solder 0603's again I need a smaller chisel tip for the iron. the smallest one I have is 2.4mm and I could get a 1.2 or a 0.8. I would suggest the 0.8mm tip. That's what I have on my Weller. Even that seems too big sometimes and I don't even do SMT. I've just ordered a 1.2 and a 0.8 straight after my last post. the IC lands on the practice board are only 0.8 so anything bigger is going to be too big. 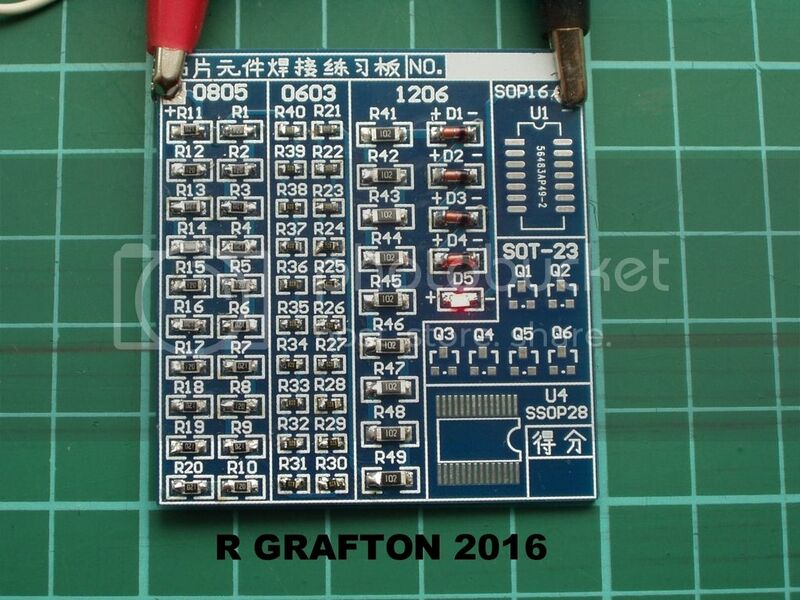 PCB for your PSU, not including diodes & LEDs .. Done on ExpressPCB. Took about an hour. You missed off my transformer lol , Your layout looks allot more efficient / better than mine , I like the way you laid out the regulators . So, not a chassis transformer ??? I've made templates for the CPC trannies . So it would be quite possible to mount it on the board. Hi, just a quick pic of my test board. it's not too bad, at least the LED works. It is the first time I've used SMD's, I used 0.8mm on the 0603's and 0.7mm on the rest. Considering that when I look at the board without my glasses I can't even see the damn components I'm quite pleased. Nope PCB mounted Dave as I shown about 5 back . 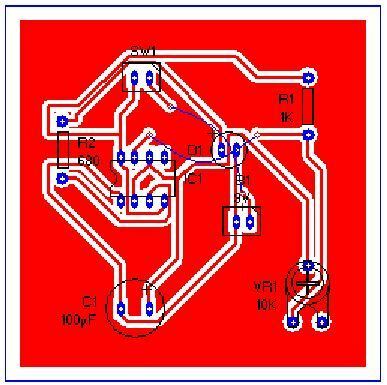 Looks like you will have no problems doing the SMD on the oscilloscope board . I keep forgetting about ESR John , they are only a few miles away . Back to my Becks & cashews ..
Hope I've got 'em re-sized properly. I managed to do a copper pour to fill. What i couldn't do was neatly connect a pad to the plane. I've uninstalled it now so can't tell you exactly how to do it. I think I am driving it correctly , I added the copper fill but I cant connect to it , I thought just add the copper fill ,then remove/delete all the traces that are at 0 volts , but it just isolates the pads . how did you get a connection ? I found this in one of their tutorials which shows the filled area but no connections to any pads. I don't know if you can get sufficient clearance for the pads for your transformer or whether you're stuck with a standard clearance. There will be a way round it I'm sure. Other software allows you to specify on the pad properties if it's isolated or not. In my PCB I used one plane for 0v to connect to my Pi and one plane for the 0v from my proximity sensor inputs. I wanted to keep both sides completely separate to keep the 24v away from the Pi which is limited to 3.3v on the inputs. Yes, quite right, there should be more clearance. Did it when I was sober, [ or very nearly ], brain would be lacking some essential toxin and thus not on top form. Rectified now. Back on full power, like a re-gunned CRT. I have been following this topic with much interest. Rob and John or anyone else with experience of using this scope, after using it for a while do you have any reservations bearing in mind that it is resonably priced? The other thing I'd like ideas on is a case for it if anyone has thought about ready made ones. £15 delivered its a cracking bit of fun ,it has nowhere near the capabilities of a good or even low end bench DSO ,but for £15 I really can't find fault . case , I bought longer bush buttons that come level with the screen , I just need to find away to bring the slide switches forward . or there is this kits . More than double the price ,but it has a case .